Enterprises' initial entrance into the cloud is over and they witnessing the arrival of the Cloud 2.0. That's the word from Diane Greene, senior vice president for Google's cloud businesses. The first phase of the cloud involved testing the waters, figuring out how companies could save time and in-house effort by having apps and services run in the cloud and using the cloud to store data. The top concerns were security and reliability. Fast forward several years, and enterprises that have moved to the cloud have resolved most of their worries, figured out if they want a private, public or hybrid cloud, and chosen their vendors. 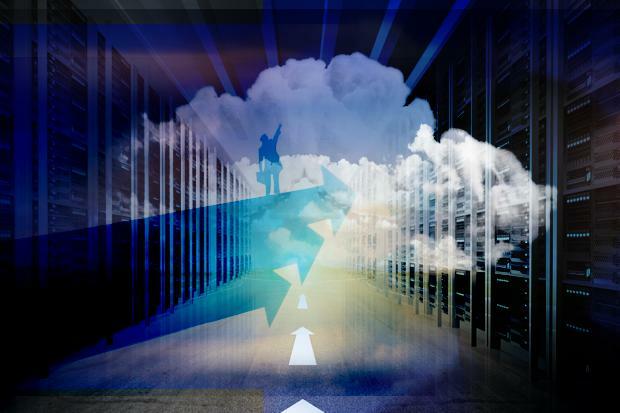 Now CIOs want to do more than store their data and run their apps in the cloud. They want to use that crush of data to figure out business issues, such as why sales are going crazy in Europe or why certain laptops are selling in North America but not in Asia. Companies want to know what patterns are appearing in the data, and what the anomalies mean. With the cloud and machine learning-based analytics tools, enterprises now are in a better position to get those answers. "It's just a given now that you have a more cost-effective and reliable way of computing," Greene told Computerworld during Google I/O last week. "The 2.0 of the cloud is the data and understanding the data. Now that you're in the cloud, how do you take advantage of it so your business can operate at a whole new level." Greene called the cloud the biggest technology revolution in her lifetime, and said machine learning is changing the way companies use the cloud and think about its potential. "The revolution of the cloud is about the economics of scale," she added. "It's really about data. All of a sudden everybody can share the data… We've turned a corner in how we think. Machine learning generates incredible value to a company. It's the ability to get insights you weren't getting before. The cloud is enabling people to create a lot more value." Patrick Moorhead, an analyst with Moor Insights & Strategy, said he agrees with Greene that IT has entered the second generation of the cloud. "Machine learning is vital to sifting through huge amounts of data and determining, on the fly, what it means," Moorhead said. "Cloud 2.0 cannot happen without machine learning to analyze the data. There is just too much data and traditional data sorting methods don't cut it." One issue is that companies have a continually growing data store in the cloud. In its on-premise set up, a company might have once had a huge data storage system but it was too expensive, time consuming and unwieldy to analyze the data in it. Whatever was there generally stayed there, doing no good for the company storing it. Now a combination of the cloud and machine learning is enabling businesses to wrestle that data into intelligible answers to big questions. Machine learning, which came out of the study of pattern recognition and computational learning, is perfect for this. The technology uses algorithms that learn from the repeated use of data, enabling them to become better and better at finding insights and answers without being expressly programmed on where to look for them. The more data machine learning has to work with, the better it learns. With bigger stores of data, machine learning can do a better job of answering questions for businesses. The technology could help an oil company find information for finding the next great oil pocket, a grocery story chain on how to sell more butter, or for an automaker to build a safer, more energy-efficient automobile. "Companies are digital pack rats because it doesn't pay to throw data away," said Greg DeMichillie, director of product management for Google's cloud platform. "Now it's how to make sense of this needle in a hay stack … What we see is people don't want to take their server from on-premise to a cloud and leave it as is. We've only begun to scratch the service on how machine learning can make it better. It helps you answer the questions you didn't even know before to ask." Machine learning, according to DeMichillie, is bringing on the next transformative wave in IT and the cloud. "It's the only way to make sense of the data that we have," he said. "At the scale we're talking about, it's just not possible without the cloud. Most companies would never have the ability to build out a machine-learning infrastructure. It's not economical for an on-premise environment." Jorel Perez, a San Antonio-based mobile web developer who works for a Fortune 500 financial services company, said he sees companies increasingly focusing on what they can do with all the information they have in the cloud. "We're starting to realize how much data we actually have, Perez said. "hey're like, 'Wow! We actually have a lot of data.' We're tracking a lot of things. Now they're like, 'What do we do with it?' What can we do beyond initial queries?" Dinesh Ganesan, a consultant with Octo Consulting Group, which works with government agencies, said many enterprises are looking to Google for help with their cloud analytics. "[Amazon Web Services] has data analytics tools, but there's a perception that Google has much more muscle there," Ganesan said. "This is Google's strength – analytics and deep learning. Everybody knows deep learning is very cool. Sure. But what is your use case with it? Google needs to step in there and show them that it's not just cool but can do things for them." Jeff Kagan, an independent industry analyst, said it might be premature in declare the Cloud 1.0 as over. "The cloud is growing faster than we imagined a few short years ago but that does not mean all the problems we worried about a few short years ago are now solved," Kagan said. "Most enterprises today are not able to sort their mountain of data and information yet. This mountain of information can either be a gold mine or just a big mountain depending whether you can sort and access what you have." Perez said the cloud may be moving into the 2.0 era and he's looking forward to what this might mean for the enterprise. "We've just started that timeline," he said. "Cloud 1.0 has just ended. I think we have started Cloud 2.0 but there's still more to come."